Investors listen up: The Fed has NOT decided to reduce its asset purchases later this year, as many were expecting. In prepared remarks to Congress Wednesday, Fed Chairman Ben Bernanke said the central bank’s “asset purchases are by no means on a preset course,” dispelling expectations many have held since late May when Bernanke, in another appearance before Congress, said the Fed could decide in the “next few meetings” to taper its bond buys. And the winner is: the same pace of asset purchases, says Yelena Shulyatyeva, U.S. economist at BNP Paribas. 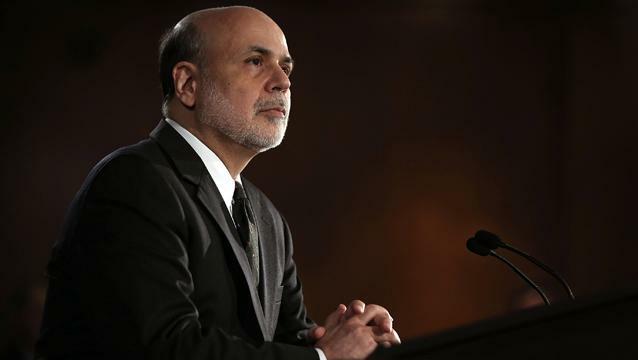 Bernanke’s latest message “is really dovish," she tells The Daily Ticker. Indeed, June housing starts fell almost 10 percent to a 10-month low and June retail sales rose 0.4%--half the increase economists had expected--although other economic data suggest the recovery is continuing. Shulyatyeva herself says second quarter GDP will likely grow by less than 1%, which means second half growth would have to soar to 3% in order to reach the Fed’s annual forecast. And that, says Shulyatyeva is “not possible.” She expects the Fed will lower its growth forecast rather than taper its bond purchases anytime soon. Watch the video above to see her demystify how the Fed analyzes the economy and sets strategy.